With over 43% of all residential properties in London having a value of over £1 million, it’s little wonder that property pundits and financial experts are asking important questions about the London property market trends in 2016. Issues surrounding Brexit and the EU referendum have slowed house prices, both rentals and sales, it won’t be for long. London Property Market Trends – Rental Price Increase? If the economy is slow and the referendum has slowed the cost of buying a home, then why have rental prices in London increased and look set to increase further in 2016? The answers straddle two significant factors. The first is ‘location’. Prime areas in central and North West London continue to show significant movement and remain constant, in terms of price and investment potential. Buy-to-rent is a popular investment choice and the simple fact that there is more demand than supply is driving prices steeply upward. 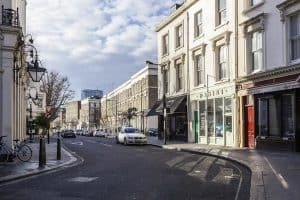 Homes in neighborhoods such as Maida Vale, Hampstead and Primrose Hill are sought after for their very location, proximity to the city and for their excellent amenities. 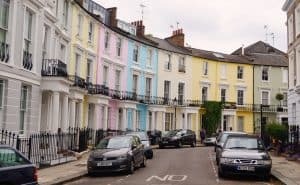 London property market trends show that there is also an increase in the number of international buyers, and even renters to these areas, which further drives up their popularity and their price. The second significant factor in London property market trends is the steady increase in the value (price) of residential properties. Certainly, the price of properties is driven upward by the simple economics of supply and demand, but investment analysts are looking at long-term pricing stability and whether or not the upward trend in housing prices is sustainable. 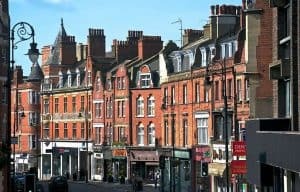 Fears over the EU referendum may have slowed the upward trend of purchasing homes in the UK, but not the price of renting a home in London or the surrounds. Interestingly enough, it may be the rental market that is keeping London property prices steady in 2016. Home ownership across the UK has slowed in the past two years, while rentals are at an all time high. Many investors are looking at purchasing property in prime central areas specifically as rental income. Younger professionals are opting to rent in London; the increase of international professionals to the city also has an effect on this trend. Prices of properties in central London areas will remain constant, but don’t expect a drop in the value of homes. From 2017 onwards, one will see the increase in value and price across the country and largely this will be led by the consistency and sustainability of the central London markets. Buyers will be looking at investing in niche market properties that cater for a specific need whether it is homes for the international market, eco-properties or rentals for professionals.